School segregation, lynchings and mass deportations of Spanish-speaking U.S. citizens are just some of the injustices Latinos have faced. Olvera Street is a Los Angeles icon—a thriving Mexican market filled with colorful souvenirs, restaurants and remnants of the oldest buildings in Los Angeles. But though the bright tourist destination teems with visitors, few realize it was once the site of a terrifying raid. In 1931, police officers grabbed Mexican-Americans in the area, many of them U.S. citizens, and shoved them into waiting vans. Immigration agents blocked exits and arrested around 400 people, who were then deported to Mexico, regardless of their citizenship or immigration status. The raid was just one incident in a long history of discrimination against Latino people in the United States. Since the 1840s, anti-Latino prejudice has led to illegal deportations, school segregation and even lynching—often-forgotten events that echo the civil-rights violations of African-Americans in the Jim Crow-era South. The story of Latino-American discrimination largely begins in 1848, when the United States won the Mexican-American War. The Treaty of Guadalupe Hidalgo, which marked the war’s end, granted 55 percent of Mexican territory to the United States. With that land came new citizens. 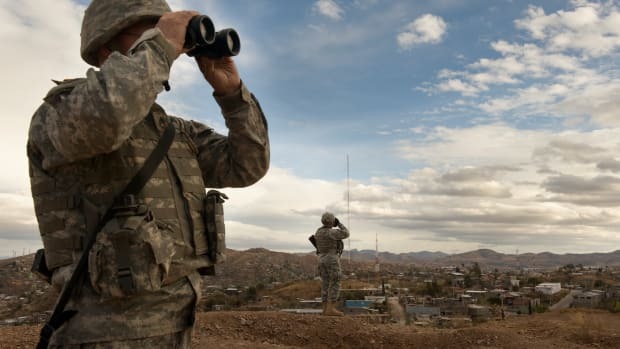 The Mexicans who decided to stay in what was now U.S. territory were granted citizenship and the country gained a considerable Mexican-American population. 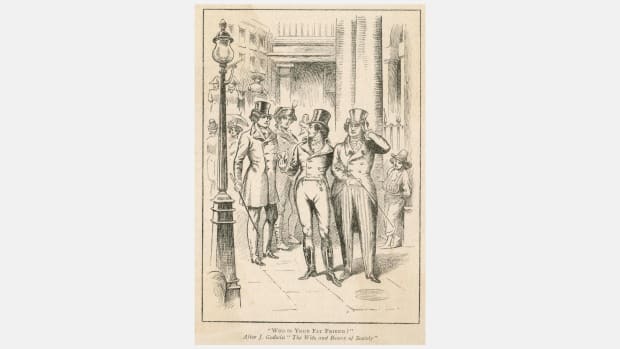 As the 19th century wore on, political events in Mexico made emigration to the United States popular. This was welcome news to American employers like the Southern Pacific Railroad, which desperately needed cheap labor to help build new tracks. The railroad and other companies flouted existing immigration laws that banned importing contracted labor and sent recruiters into Mexico to convince Mexicans to emigrate. Anti-Latino sentiment grew along with immigration. Latinos were barred entry into Anglo establishments and segregated into urban barrios in poor areas. Though Latinos were critical to the U.S. economy and often were American citizens, everything from their language to the color of their skin to their countries of origin could be used as a pretext for discrimination. Anglo-Americans treated them as a foreign underclass and perpetuated stereotypes that those who spoke Spanish were lazy, stupid and undeserving. In some cases, that prejudice turned fatal. 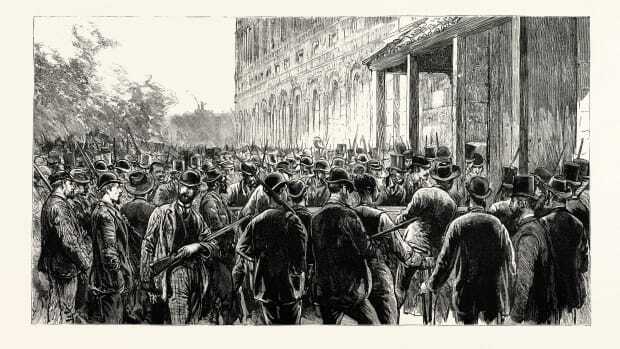 According to historians William D. Carrigan and Clive Webb, mob violence against Spanish-speaking people was common in the late 19th and early 20th centuries. They estimate that the number of Latinos killed by mobs reach well into the thousands, though definitive documentation only exists for 547 cases. The violence began during California’s Gold Rush just after California became part of the United States. At the time, white miners begrudged former Mexicans a share of the wealth yielded by Californian mines—and sometimes enacted vigilante justice. 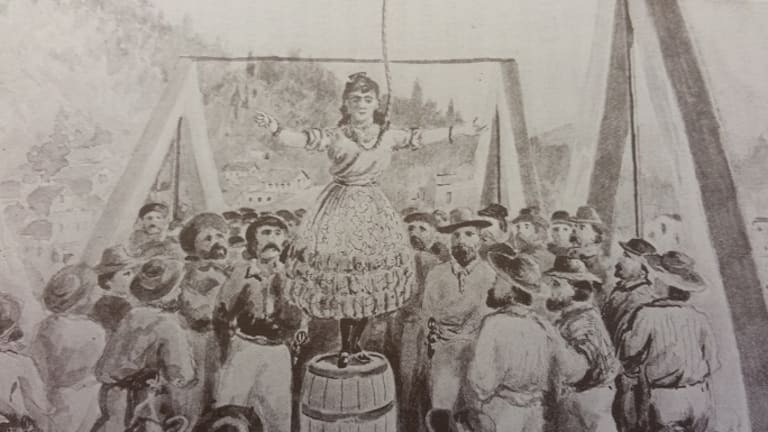 In 1851, for example, a mob of vigilantes accused Josefa Segovia of murdering a white man. After a fake trial, they marched her through the streets and lynched her. Over 2,000 men gathered to watch, shouting racial slurs. Others were attacked on suspicion of fraternizing with white women or insulting white people. Even children became the victims of this violence. In 1911, a mob of over 100 people hanged a 14-year-old boy, Antonio Gómez, after he was arrested for murder. Rather than let him serve time in jail, townspeople lynched him and dragged his body through the streets of Thorndale, Texas. These and other horrific acts of cruelty lasted until the 1920s, when the Mexican government began pressuring the United States to stop the violence. But though mob brutality eventually quelled, hatred of Spanish-speaking Americans did not. 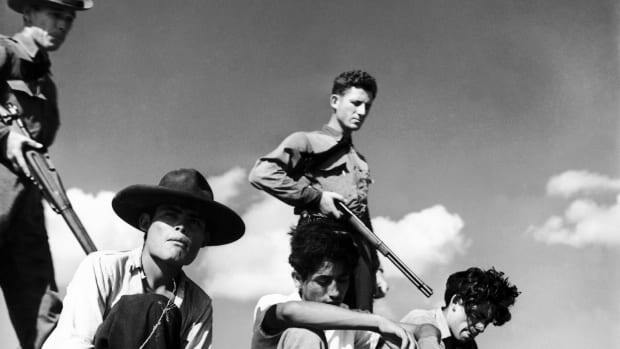 In the late 1920s, anti-Mexican sentiment spiked as the Great Depression began. As the stock market tanked and unemployment grew, Anglo-Americans accused Mexicans and other foreigners of stealing American jobs. Mexican-Americans were discouraged and even forbidden from accepting charitable aid. As fears about jobs and the economy spread, the United States forcibly removed up to 2 million people of Mexican descent from the country—up to 60 percent of whom were American citizens. Euphemistically referred to as “repatriations,” the removals were anything but voluntary. Sometimes, private employers drove their employees to the border and kicked them out. In other cases, local governments cut off relief, raided gathering places or offered free train fare to Mexico. Colorado even ordered all of its “Mexicans”—in reality, anyone who spoke Spanish or seemed to be of Latin descent—to leave the state in 1936 and blockaded its southern border to keep people from leaving. Though no formal decree was ever issued by immigration authorities, INS officials deported about 82,000 people during the period. Others, like Rodriguez’s father, did not wait for raids or enforcement and returned to Mexico independently to escape discrimination and the fear of removal. 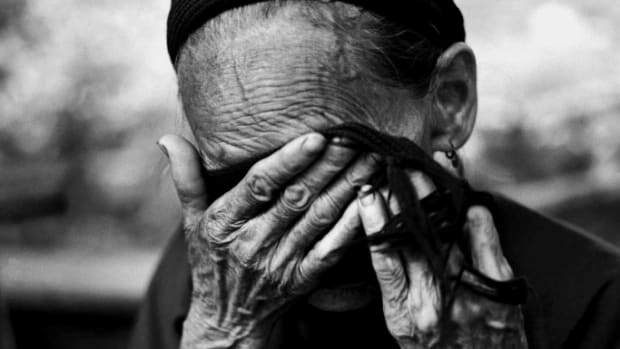 His wife refused to accompany him and the family never saw him again. When deportations finally ended around 1936, up to 2 million Mexican-Americans had been “repatriated.” (Because many of the repatriation attempts were informal or conducted by private companies, it is nearly impossible to quantify the exact number of people who were deported.) Around one third of Los Angeles’ Mexican population left the country, as did a third of Texas’ Mexican-born population. Though both the state of California and the city of Los Angeles apologized for repatriation in the early 2000s, the deportations have largely faded from public memory. Another little-remembered facet of anti-Latino discrimination in the United States is school segregation. Unlike the South, which had explicit laws barring African-American children from white schools, segregation was not enshrined in the laws of the southwestern United States. Nevertheless, Latino people were excluded from restaurants, movie theaters and schools. Latino students were expected to attend separate “Mexican schools” throughout the southwest beginning in the 1870s. At first, the schools were set up to serve the children of Spanish-speaking laborers at rural ranches. Soon, they spread into cities, too. By the 1940s, as many as 80 percent of Latino children in places like Orange County, California attended separate schools. 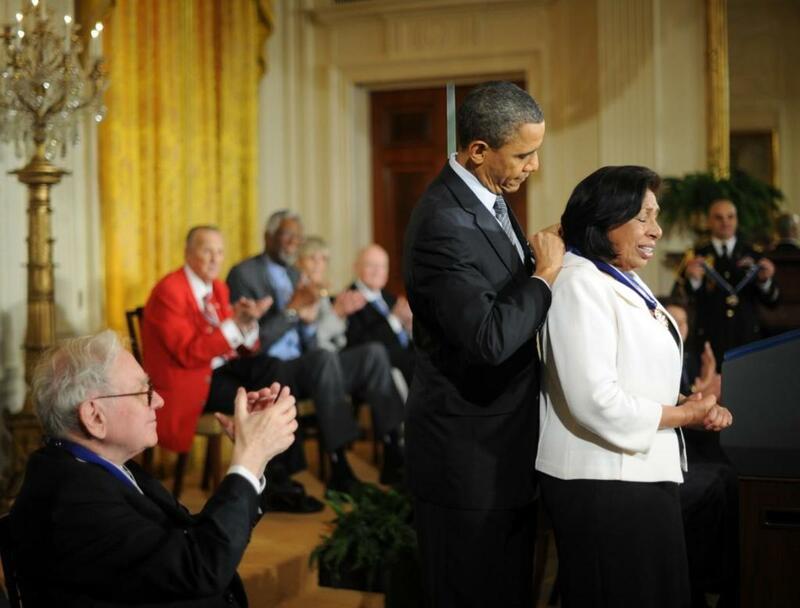 Among them was Sylvia Mendez, a young girl who was turned away from an all-white school in the county. Instead of going to the pristine, well-appointed 17th Street Elementary, she was told to attend Hoover Elementary—a dilapidated, two-room shack. The bare-bones facilities offered to students like Mendez lacked basic supplies and sufficient teachers. Many only provided vocational classes or did not offer a full 12 years of instruction. Children were arbitrarily forced to attend based on factors like their complexion and last name. Then Mendez’s parents fought back. In 1945, along with four other families, they filed a class action lawsuit against four Orange County school districts. Their goal: Ensure that all children could attend California schools regardless of race. The case culminated in a two-week-long trial. In court, school officials claimed that Latino students were dirty and infected with diseases that put white students at risk. Besides, they argued, Mexican-American students didn’t speak English and were thus not entitled to attend English-speaking schools. (When asked, officials conceded that they never gave students proficiency tests.) “Mexicans are inferior in personal hygiene, ability and in their economic outlook,” said one official. Mendez’s attorney countered with testimony from experts in social science. He argued that the policy trampled on Latino children’s Constitutional rights. When Carol Torres, a 14-year-old Latino girl, took the stand, she immediately proved that Mexican-American students in the district could and did speak English. It took seven months for Judge Paul J. McCormick to render a decision. On February 18, 1946, he ruled that the school districts discriminated against Mexican-American students and violated their Constitutional rights. Though the school districts challenged the ruling, the Ninth Circuit Court of Appeals agreed with McCormick. Thanks to Mendez v. Westminster School District, California officially ended all segregation in its schools. Mendez, who was eight when the lawsuits began, later told reporters that she thought her parents were fighting for her right to attend a school with a nice playground. But the case accomplished much more than that. 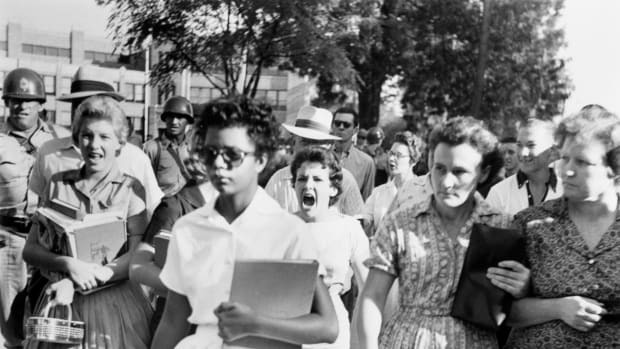 Soon, parents in Texas and Arizona successfully challenged school segregation. In 1954, a decade after Mendez was turned away from the whites-only elementary school, the United States Supreme Court ruled that all school segregation based on race was unconstitutional in Brown v. Board of Education. Though the case was a victory for the Mendez family, Sylvia was harassed and heckled by her fellow students when she attended the white school. Nonetheless, she pushed to succeed and became a nurse and civil-rights activist. She was awarded a Presidential Medal of Freedom in 2010—and now, two Los Angeles-area schools are named after her parents. Today, an estimated 54 million Latinos live in the U.S. and around 43 million people speak Spanish. But though Latinos are the country’s largest minority, anti-Latino prejudice is still common. In 2016, 52 percent of Latinos surveyed by Pew said they had experienced discrimination. Lynchings, “repatriation” programs and school segregation may be in the past, but anti-Latino discrimination in the U.S. is far from over.